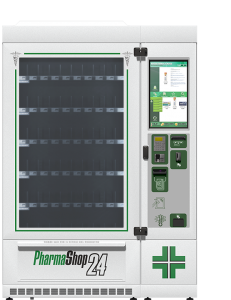 PharmaShop24 offers a wide range of models, designed around Pharmacies’ specific needs. Check out the new Interactive line. 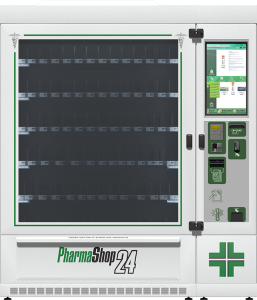 Each model can efficiently be connected to the main brands of automated dispensing system for pharmacy. Also available in reduced format. 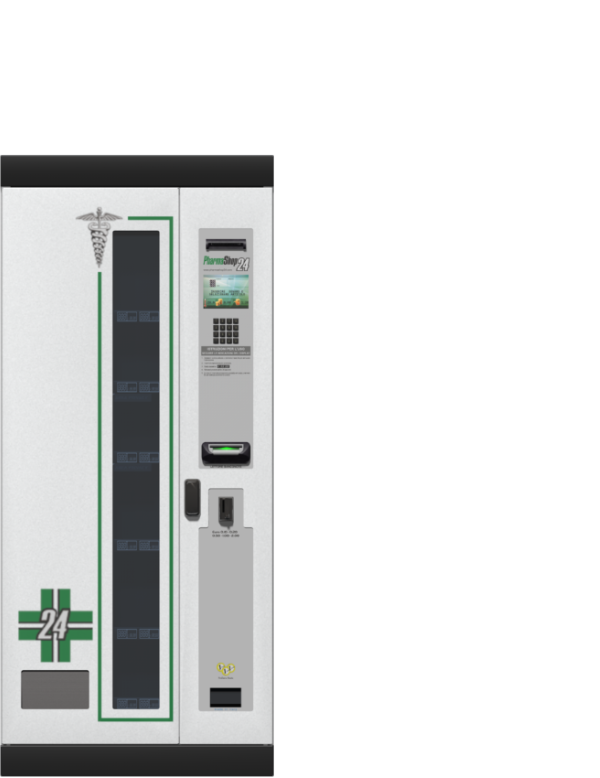 Download the technical datasheets below. 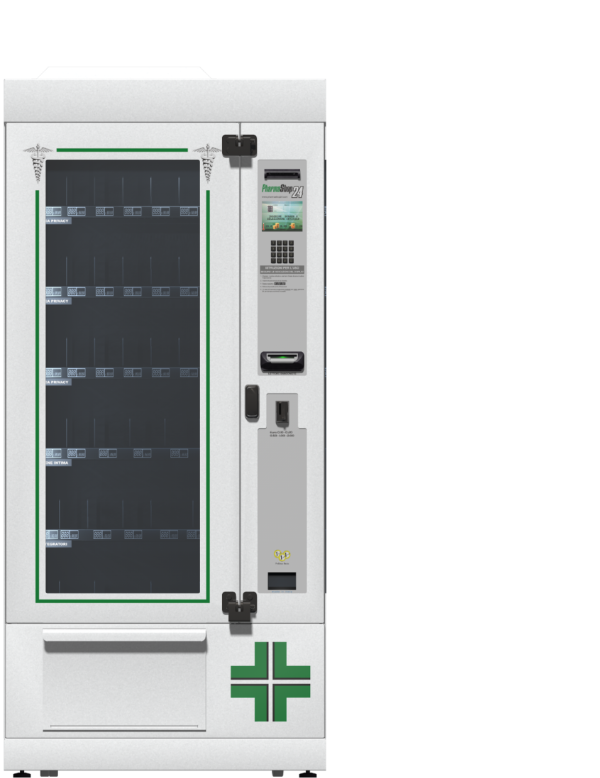 Our best selling machine, builded for those who would like to offer a higher number of selections with the aim to attract consumers. 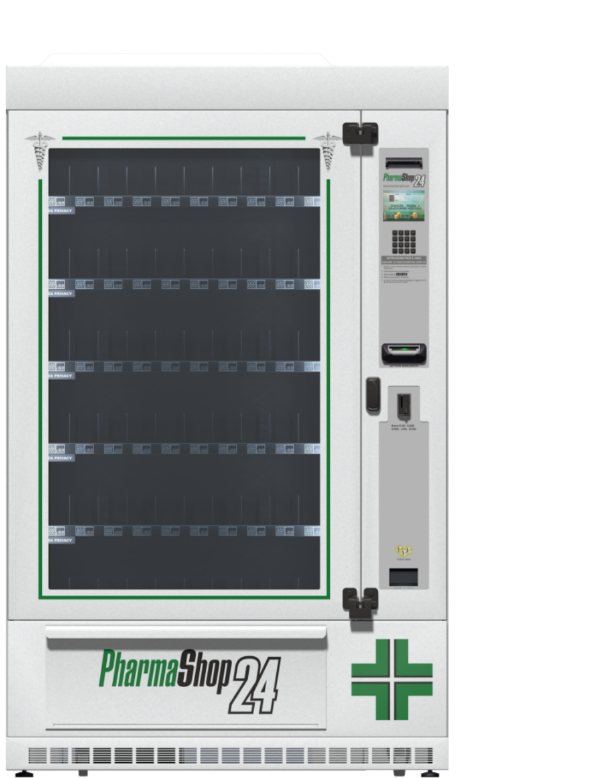 This model is perceived more as “an automatic window” than as a regular vending machine. It is the most imitated model, especially from privacy area brands. 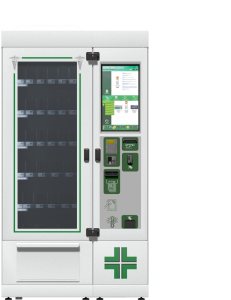 It’s suitable for small urban areas with less space available. 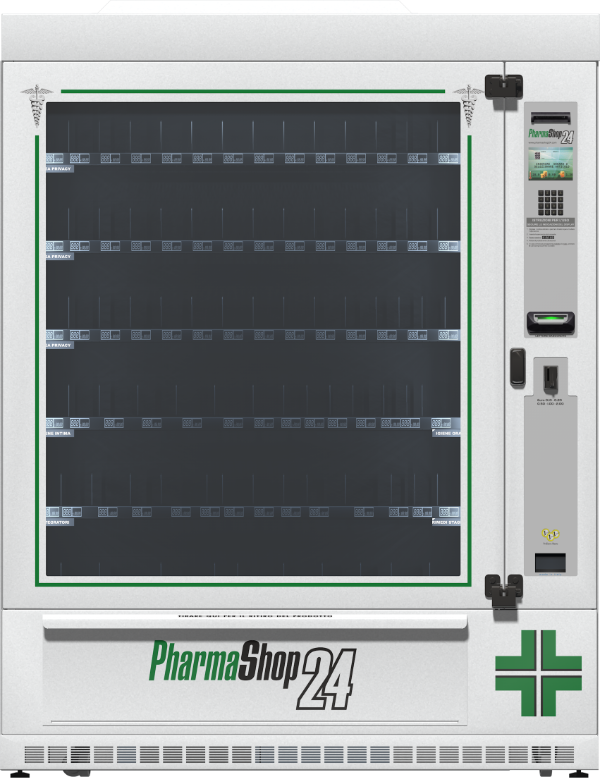 The perfect solution for limited spaces while maintaining Pharmashop24 distinctive style and elegance. This model fits quick purchases needs. Conceived for indoor small areas. 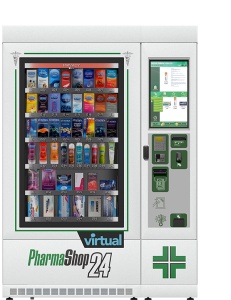 Also available with touch screen version.